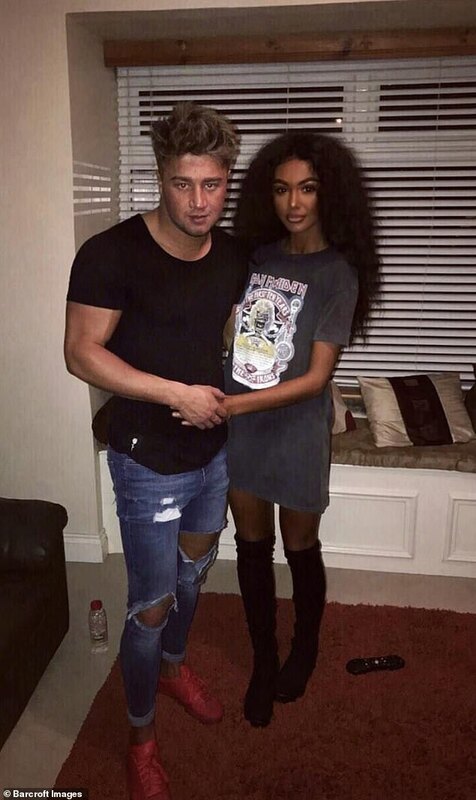 Hannah Tittensor, 22, from Belfast, discovered her love for being bronzed after she developed an amazing bronzed tan while on holiday in Turkey in 2015. Since then the beauty therapy student has regularly taken to the sunbeds but her colour isn't all down to the sun or UV. Hannah uses under-the-counter tanning injections of a substance called Melanotan, which helps users go darker more quickly under sunlight or sunbeds. And while Hannah admitted she is at the extreme end, she has insisted she is a part of a growing trend in tanning in Belfast, with many using the illegal drug. Despite side effects which include leaving her feeling sick, her boyfriend Ben Dunlop, 23, also uses the injections. 'Everyone is doing it. It's become a trend in the city. I use the sunbed for about fifteen minutes, three times a week,' said Hannah. 'Ben and I do the injections for about one week each month, where you have an injection before you go on the sunbed each time. She added: 'I just use the injections to top me up for that week, and then I stay really tanned all month. Hannah regularly posts photos of herself on social media and has been using Instagram since 2013, before she became hooked on tanning. 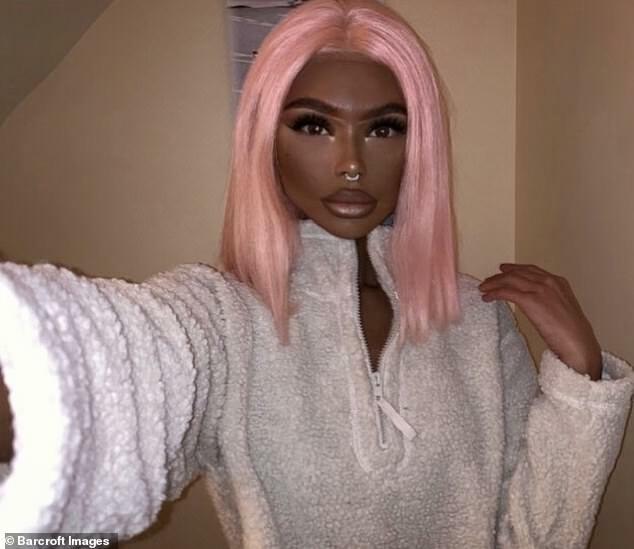 But after uploading the snap of herself on the 2015 holiday in Turkey - when she revealed her new ultra-dark skin for the first time - she started to get hate messages and online abuse. In January 2017, when Hannah combined her new skin colour with box braids - a type of hair braiding more commonly worn by African and African-American people - she received a fresh waves of attacks. 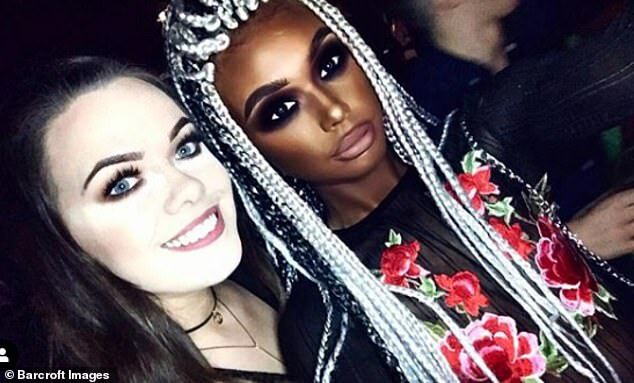 'People were commenting on my photos accusing me of cultural appropriation and even saying that I was racist, just because of how I looked,' she said. 'I'm not racist at all. I'm just a white girl who likes to be overly-tanned. Despite the other health risks of too much sunlight or sunbeds, Hannah is not ready to quit tanning. 'One of the main reasons I do it is I don't need to wear much makeup,' she explained. Tanned skin looks better and it saves me lots of time going out or to work. The fact that a light skinned girl is being criticized by dark skinned people because she has chosen to darken her skin, proves that having a dark skin is now considered to be an asset to be protected, not a detriment to equal treatment. When purported victim-hood becomes a marketable commodity, the supposed victims will move to protect their market share. Doesn't she have the right to self identify?